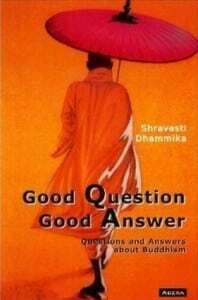 Good question good answer is a general introduction to Buddhism by S. Dhammika. It deals with topics such as: What is Buddhism, how do Buddhists understand the concept of ´God, meditation, vegetarianism along with brief introductions to Buddha’s words, and apprehensions such as Wisdom and Compassion. If you are new to Buddhist assumptions, this is where to begin.